The Chamber Philharmonic Europe Orchestra was founded 2006 in Cologne/Germany and engages talented young musicians from 18 European nations.Its outstanding high artistic level was confirmed by many concerts and festivals which the orchestra played throughout the continent as well as press and critics. 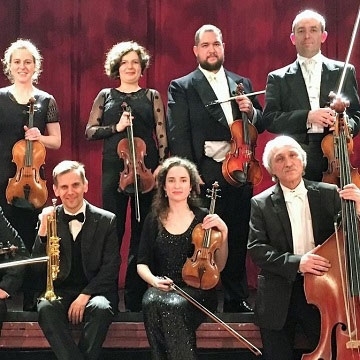 Chamber Philharmonic of Europe orchestra promises us another evening of exceptional chamber music. With an outstanding reputation and exciting programme, this is a concert not to miss.